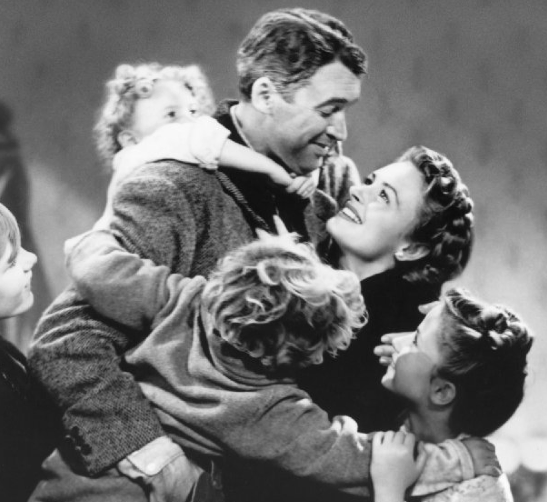 It’s a Wonderful Life (1946) is arguably one of the greatest Christmas movies of all time, and makes you really appreciate your family, not just at Christmas but all year round. 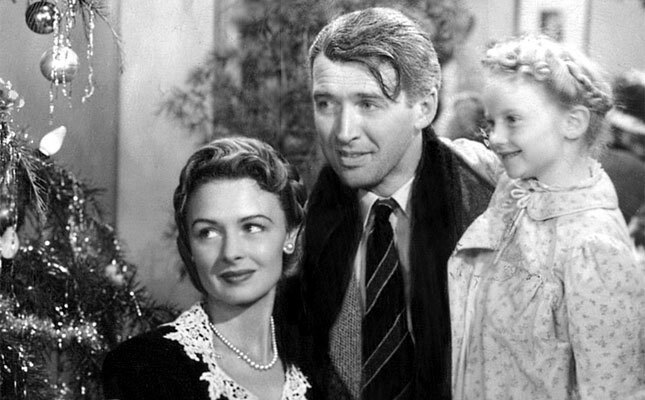 In celebration of this remarkable film, here are 10 It’s a Wonderful Life Facts to read this Christmas. 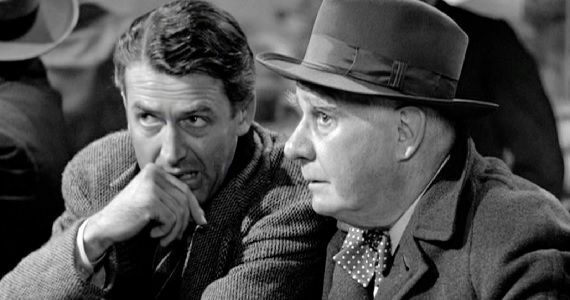 It’s a Wonderful Life is a staple Christmas Eve movie, with people all over the world watching George realising what life would have been like if he never existed. 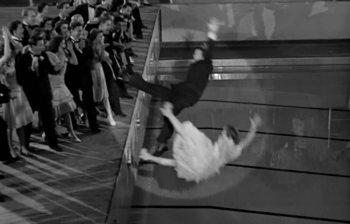 While the film is now incredibly popular, it was a box office flop when first released back in 1946! 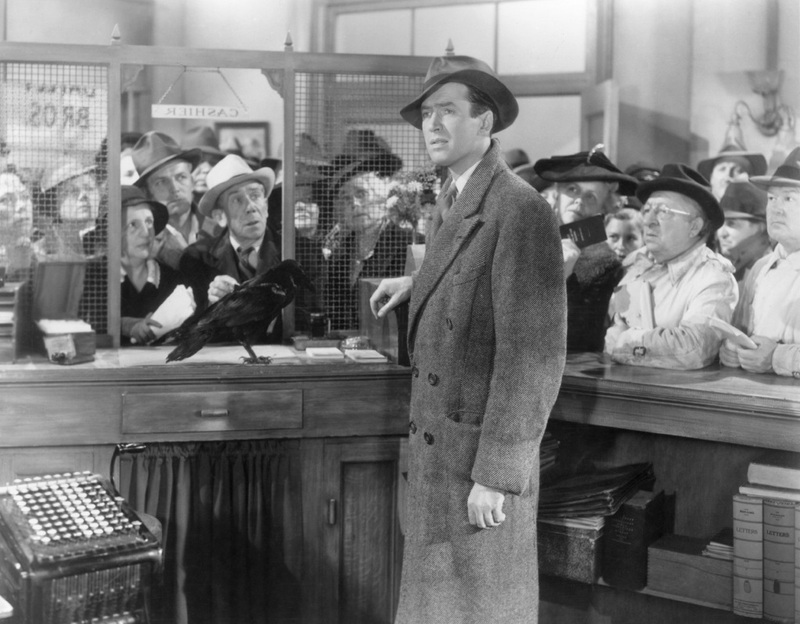 James Stewart was reportedly very nervous about the phone scene kiss, as it was his first one since he had returned from the war. He filmed the kiss in one take, and he enjoyed it so much that some of the scene was cut as it was far too passionate to pass the censors. 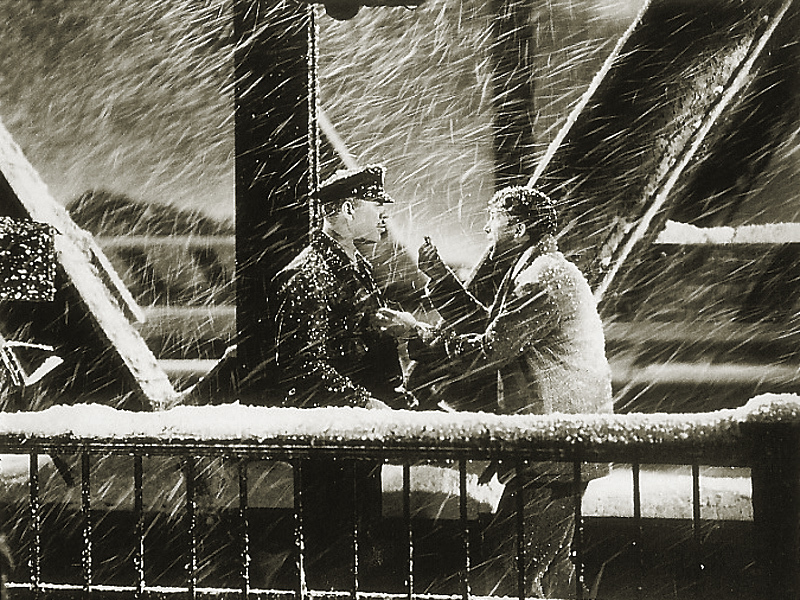 The scene on the bridge where Clarence saves George was filmed during 90 degrees Fahrenheit temperatures, and that is why James Stewart is visibly sweating in this scene. 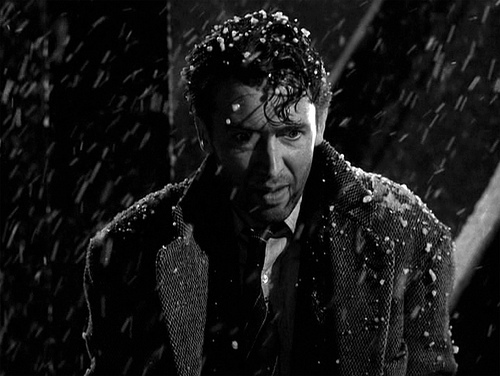 Before It’s a Wonderful Life, most films used white-painted cornflakes for a falling snow effect. However, the director, Frank Capra, wanted to record the live snow and so developed a new effect using foamite (a fire-fighting chemical) with soap and water. The concoction was pumped at a high pressure through a wind machine, creating a new snow effect. 6,000 gallons of the fake snow was used in the movie. Every time a bell rings an angel gets their wings, according to Clarence. So, if he is telling the truth, 42 angels get their wings over the course of the film, as that’s how many bell rings can be heard. It’s a Wonderful Life is the only movie in history that originated from a Christmas greetings card. The card was created by Philip Van Doren Stern, who sent 200 greetings cards to his family and friends in December 1943, which featured the short story of a man named George who was going to attempt suicide. Potter’s employees always dress the same as the big-time banker. Next time you watch the film, take a look at his bodyguard and wagon driver who dress exactly like their tyrant boss. The only exception is when the bodyguard wheels Potter into the bank, as he is wearing a scarf. The swimming pool under the gymnasium floor really exists at a Beverley Hills High School and was used until 2010. 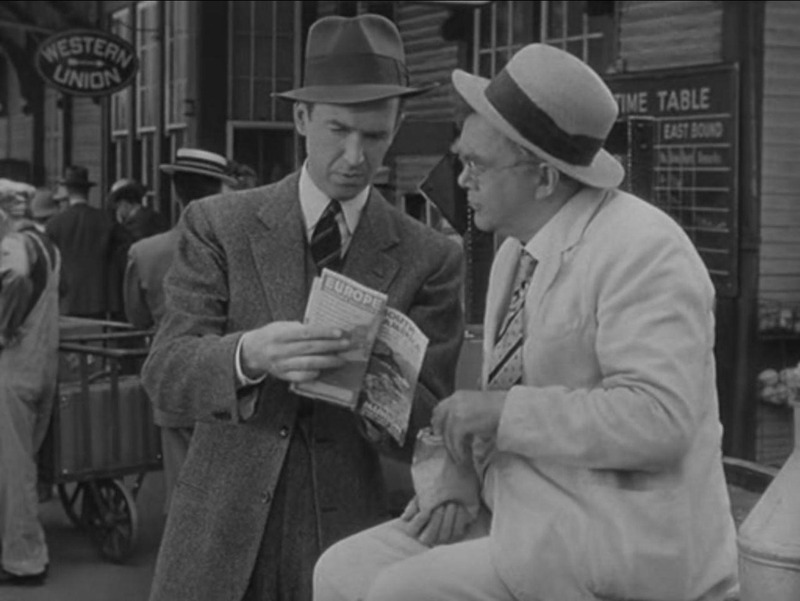 The movie was looked into by the FBI back in 1947, as they believed it was an “obvious” attempt to discredit bankers, which “is a common trick used by Communists”. A loud crash offscreen can be heard when George points Uncle Billy home, this was due to a prop being accidentally knocked over during filming. 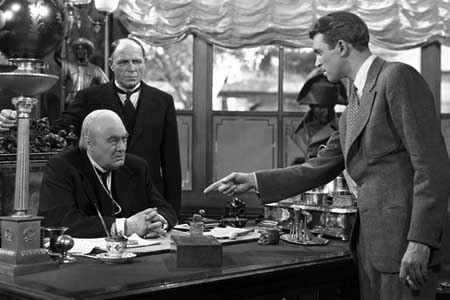 A quick thinking Thomas Mitchell, who played Uncle Billy, saved the scene by quipping “I’m alright, I’m alright” and Capra loved it so much that he kept it in the Christmas film. 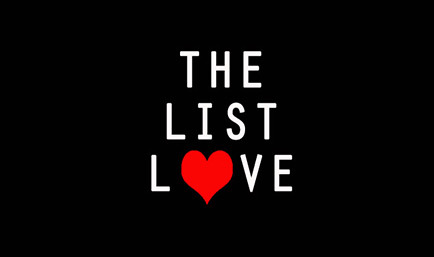 Read more facts about the best Christmas movies and take a look at 10 Miracle on 34th Street Facts to Read Right Now.